Well, before I head further south, there is plenty still to say about the north…Northern Minnesota, that is. The little expedition to Angle Inlet and the Northwest Angle wasn’t the only stopover on a week-long holiday vacay in the warmer than usual (but still chilly) border lands of Minnesota and North Dakota. Family and friends reside on both sides of the international border – some in International Falls, MN and some in neighboring Fort Frances, Ontario. I think I went back-and-forth from the USA into Canada at least seven times. The weather was shockingly warm and though it has cooled lately, the only snow we saw was on the New Year’s holiday. 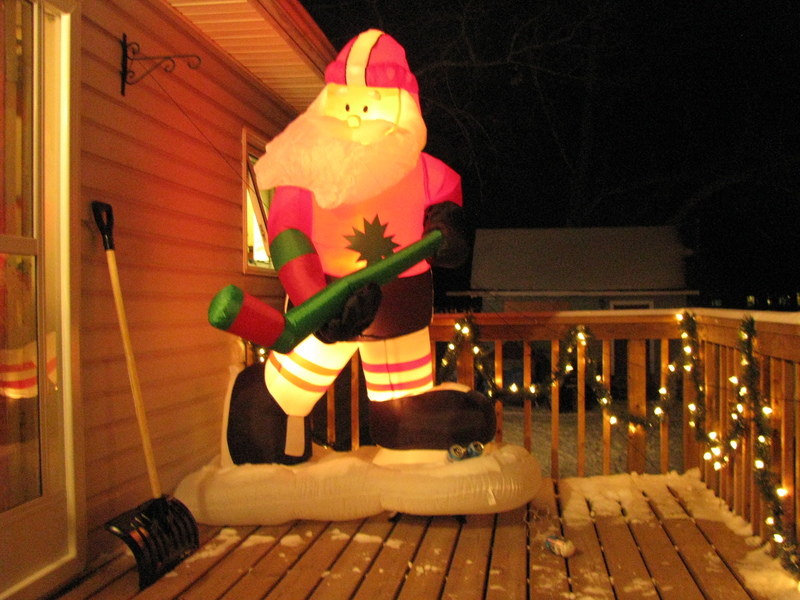 After we left, International Falls thawed out again – setting early January records in the mid-to-high 40’s. So much for the “icebox of the national” label, huh? Going back to the general midwest (I’m originally from Montana – well, born in D.C., but lived the great majority of nearly 30 years in Montana) is always a comforting experience for me. I love the USA – heck I love North America, I’d spend time anywhere – but I love the general relaxed remoteness of the midwest and west the most. There is a certain mystique out here – you sense it’s still relatively undiscovered. International Falls is situated on the Rainy River and lies near Voyageurs National Park, most picturesque for its many islands – which sat “frozen” in the snow and ice as we flew above on approach. It was my third time in town and I officially feel I’ve seen it in every season. 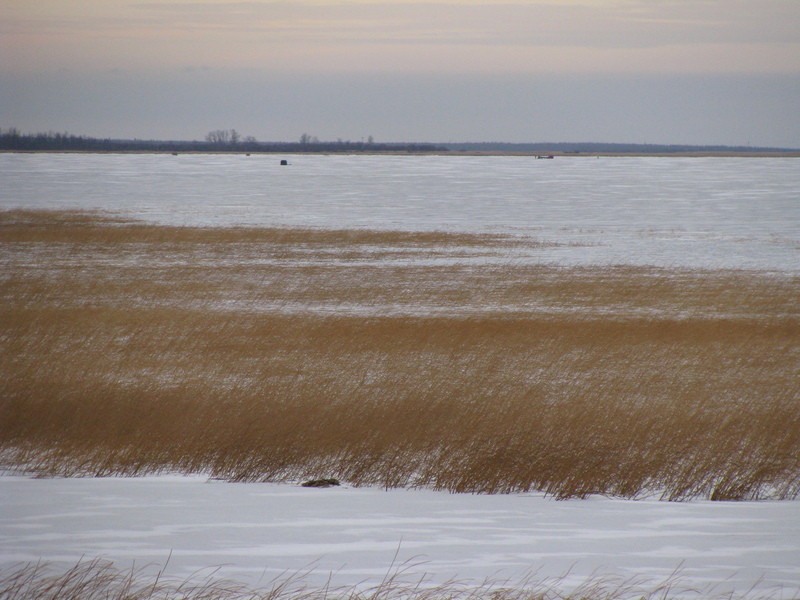 My first visit – last January – the place was buried in snow. I was also there this past summer – taking in some of the lake and, of course, a quick visit to Voyageurs. It should have been winter now, but the temperature hovered between the 20s and upper 30s and the scene was relatively brown, despite ice cover on most of the river. If any of you ever get to International Falls, I recommend Border Bar, which serves up an unbelievable Italian Burger. Later you can cut the calories by running to Canada and back…Oh and don’t forget to pose with Smokey the Bear (according to Breeah, this is the biggest photo attraction in town). Breeah’s brother plays hockey for the International Falls Broncos, named after the legendary Bronko Nagurski, who grew up in the region. 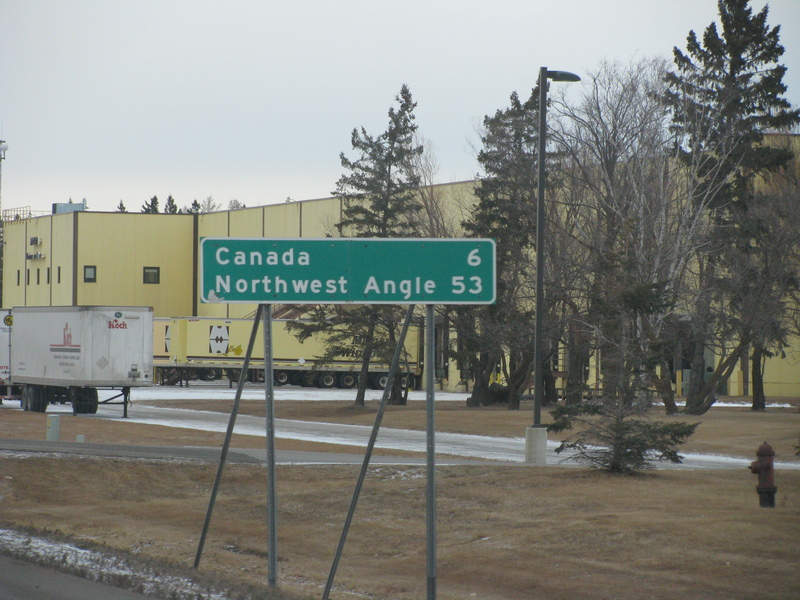 The whole trip to Angle Inlet game about because of a hockey tournament in Warroad, MN – the closest town (by road) to the Angle in the U.S. – on the 27th. Outside of our trip to the Northwest Angle (which you can read here) our side trip to Warroad and then onto Grand Forks, N.D. to catch a Sioux Hockey game and catch up with one of Breeah’s friends, it was just interesting to see the Northern Minnesota countryside – a relatively sparsely populated and rare journey for most people in the country, especially during the winter months. 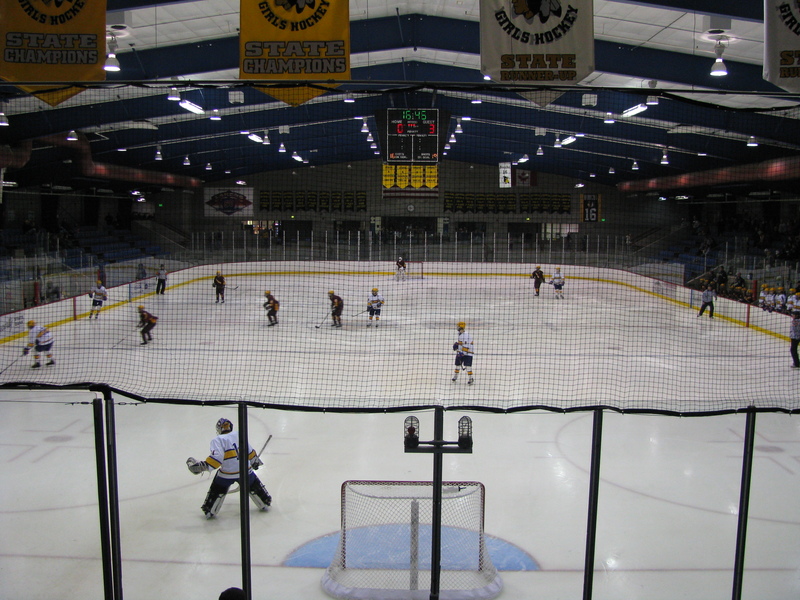 Warroad is a hockey mad town, and for a population of less than 2,000 people – it sure packs quite a hockey arena (thanks to Marvin Windows, whose gigantic yellow headquarters dominate the town. It is said the Marvin’s recruit hockey talent to Warroad to play for the local high school – and it’s had its fair share of talent come through here, the latest being T.J. Oshie of the St. Louis Blues. 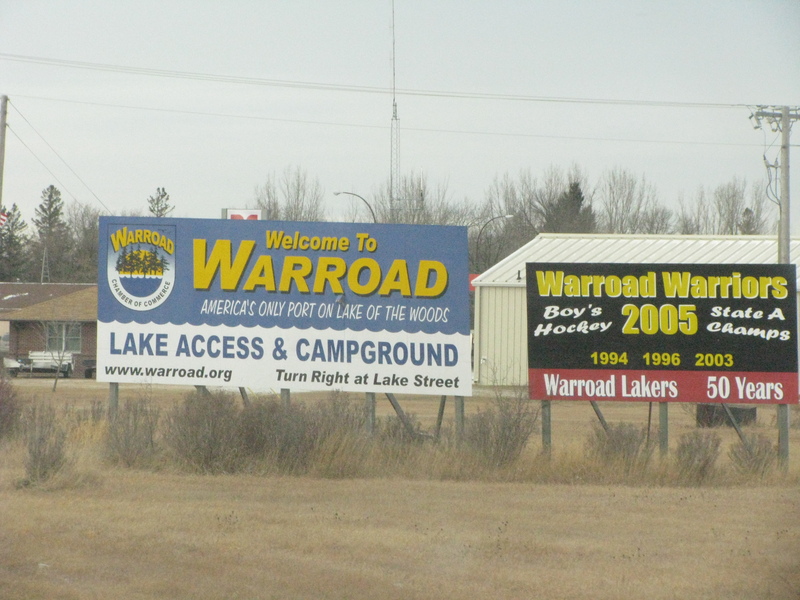 Warroad is less than ten miles from the Canadian border and is nestled along the Lake of the Woods. 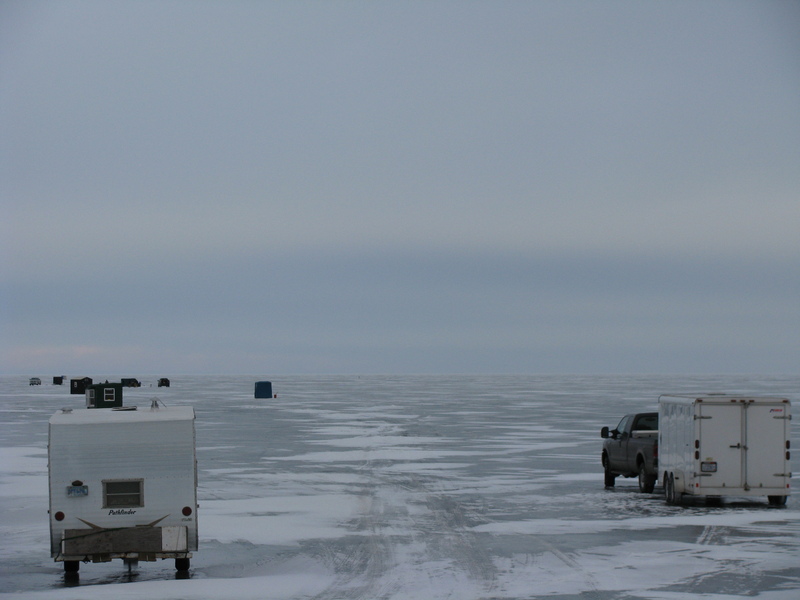 We drove around the neighborhood and, even though the temperatures weren’t totally ripe for it, fishermen were anxiously taking to the frozen lake for some ice fishing. We also stopped buy the Seven Tribes Casino, a relatively small (but large for the town I suppose) gaming joint. I hadn’t played since a short trip over to Charles Town, WV last summer – but actually came out ahead $60 (and this after winning $250 in a raffle and $180 in a fantasy football league – yes, I’ve been buying lotto tickets now). 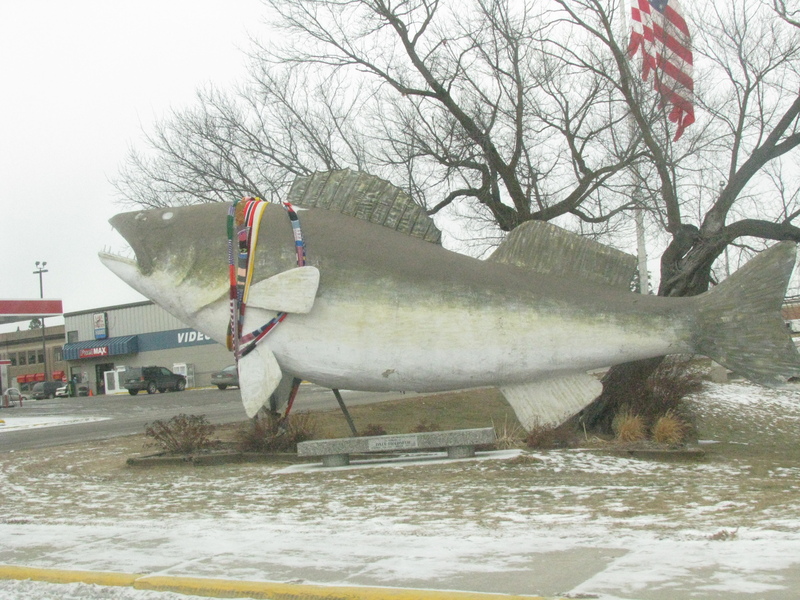 Outside of Warroad (where the other highlight was finding Mexican Pepsi at the dollar store), we ventured through the towns of Baudette (have you seen that commercial about testing cars in frigid Baudette? 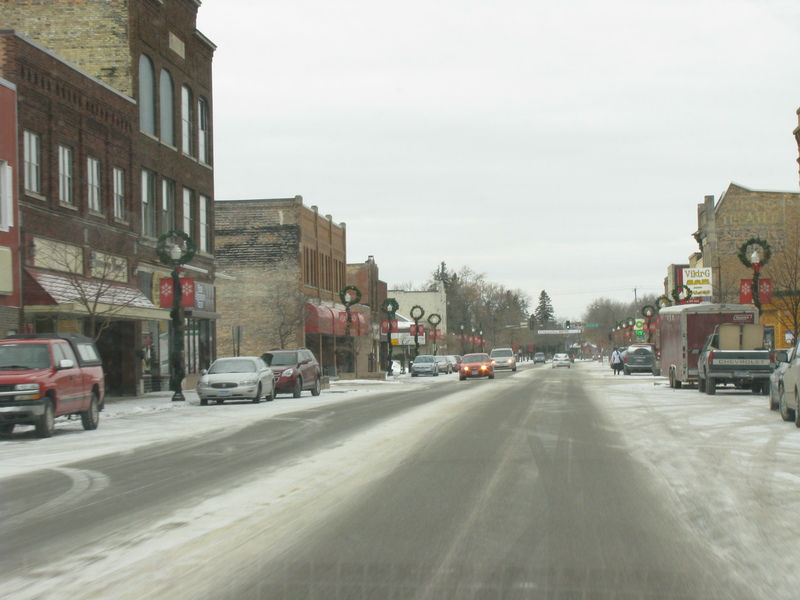 – well it wasn’t so frigid that day) and Roseau (which also lays claim to Minnesota’s hockey town). 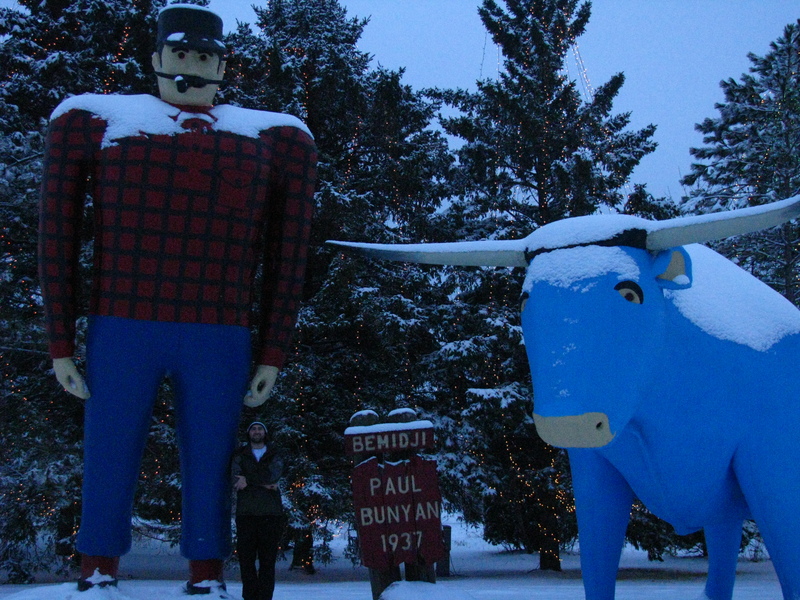 We didn’t hit snow on the ground til we got near Karlstad, MN – which greets you with a big moose statue (though it doesn’t quite compare to Baudette’s “big fish”). 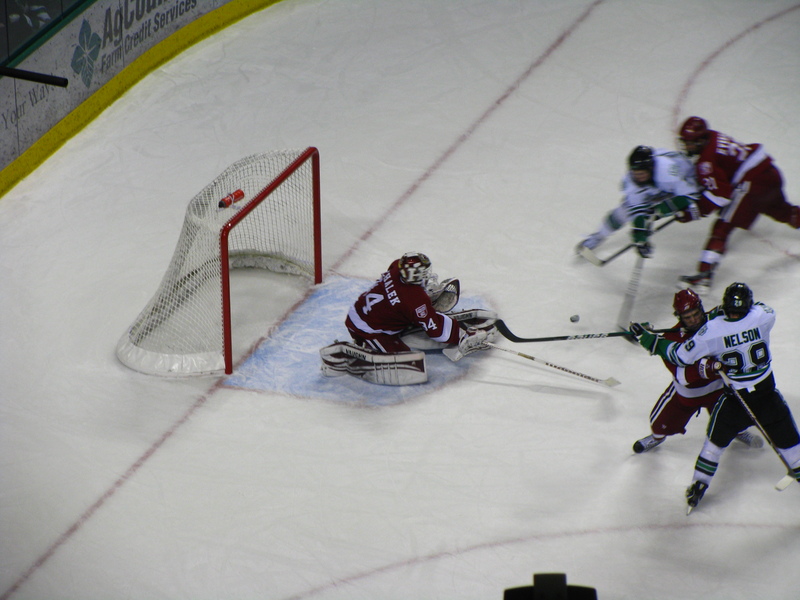 There isn’t much left after Karlstad except for the tiny hamlets of Donaldson and Robbin. I’ve been to North Dakota plenty of times, but didn’t get out to Grand Forks until I met Breeah a couple years back. I had been to Fargo, Minot, Jamestown, Dickinson, Williston (before the latest oil boom) and Bismarck multiple times, but Grand Forks was always just out of the way until I met her of course. We passed through Drayton (my first time getting to the Forks this way) and soon we were in Sioux country (soon to be not Sioux country, as the Big Sioux Cafe is now just “Cafe” in reaction to the NCAA-sanctioned name change).